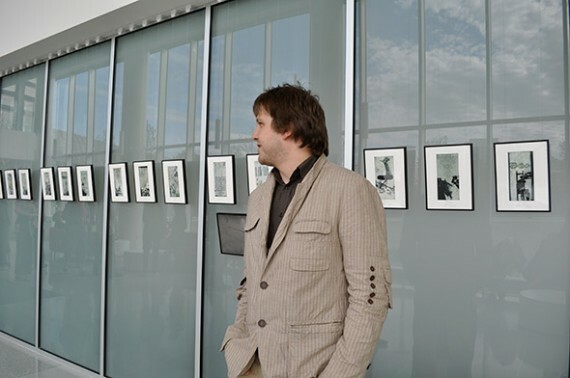 Organizer of lecture and exhibition MUNDUS IMAGINALIS of Romanian artist Botond Részegh, visiting artist to the Department of Art + Design, at the International Village, April 30 – September 17, 2010. 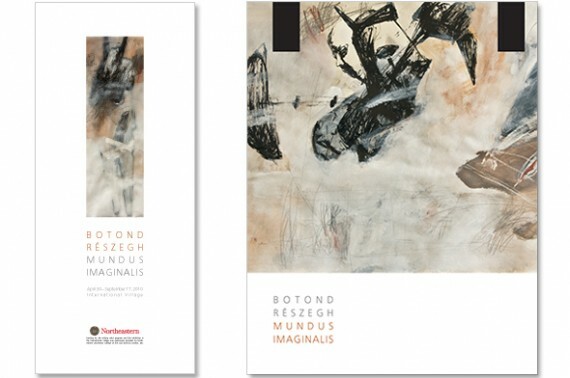 Design of exhibition catalogue in collaboration with Részegh. 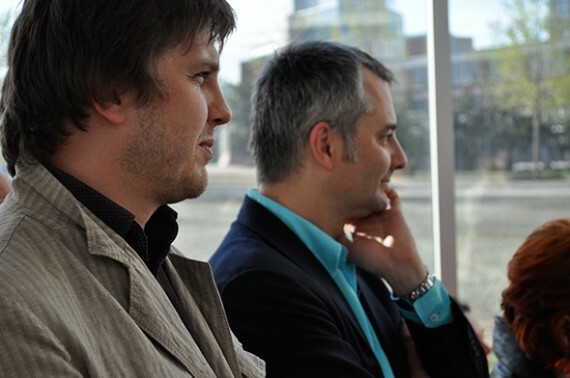 Botond Részegh came as a visiting artist in the department of Art + Design in close collaboration with the Center for Complex Network Research, Northeastern University. 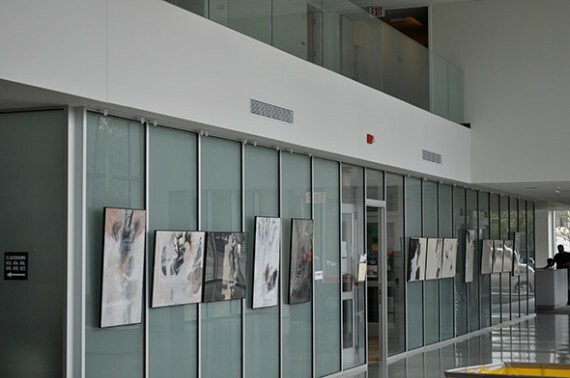 Részegh has lived and worked in Romania and Hungary where he has exhibited extensively. 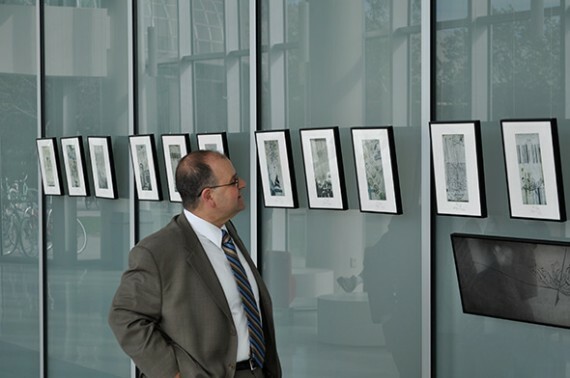 During his residency at Northeastern University Részegh participated in a series of events including the exhibition MUNDUS IMAGINALIS presenting his most recent work (April30 – September 17, 2010). Also on view was a series of 15 prints that Részegh created for Albert-Lásló Barabasi’s latest book Bursts: The Hidden Pattern Behind Everything We Do, published on April 29. 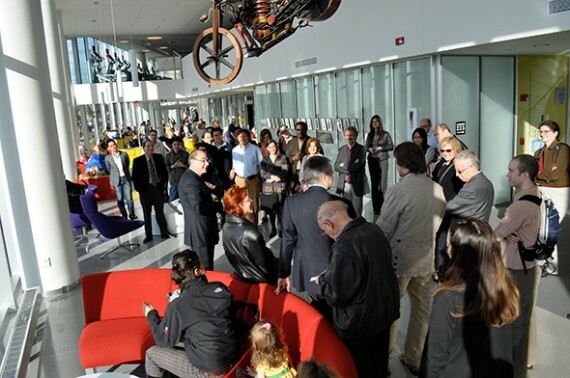 MUNDUS IMAGINALIS opened a new exhibition space at Northeastern University, located in the main floor of the International Village. 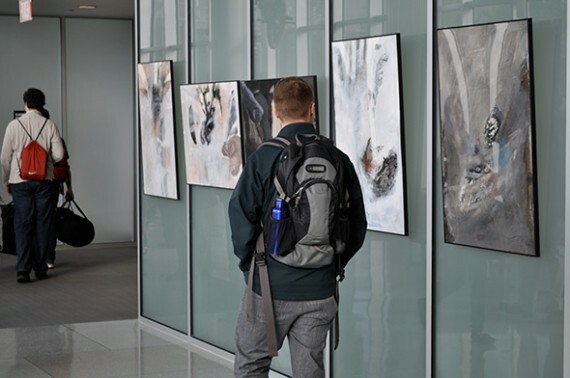 On April 28th Botond talked about his career and artwork on view at the exhibition (105 Shillman Hall, at 6:30). This entry was posted on Thursday, May 6th, 2010 at 10:05 pm. 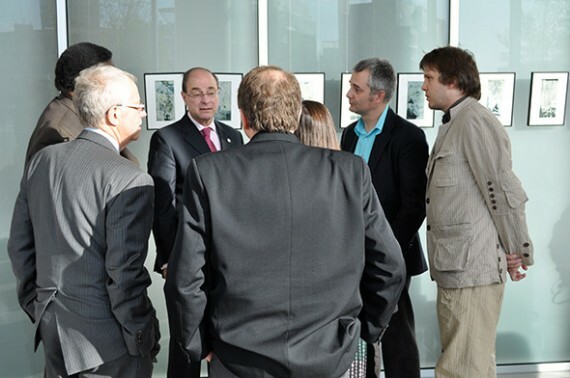 It is filed under Design: exhibit and tagged with catalogue, exhibition. You can follow any responses to this entry through the RSS 2.0 feed. Isabel Meirelles is an information designer and associate professor of graphic design at Northeastern University, Boston.